The War for New York City is about to begin in the final trailer for the highly-anticipated Marvel Netflix series The Defenders, which debuts in just five shorts days on August 18. This final trailer gives us a better look at the show's villain, played by Sigourney Weaver, while we also get a glimpse at Stick (Scott Glenn), who emerges to train The Defenders as they prepare for the War for New York. While it's clear that none of them are too keen about working toegether as a team they must pull together to save the city they call home. The trailer comes from MCUTrailer YouTube. This was announced back in 2013, following the landmark movie distribution deal through which, beginning with 2016 theatrically released feature films, Netflix will be the exclusive U.S. subscription television service for first-run, live-action and animated movies from the Walt Disney Studios, including titles from Disney, Walt Disney Animation Studios, Pixar Animation Studios, Marvel Studios, Disneynature and Lucasfilm. Netflix members can currently enjoy a wide range of Disney, ABC TV and Disney Channel films and shows across the 41 countries where Netflix operates. 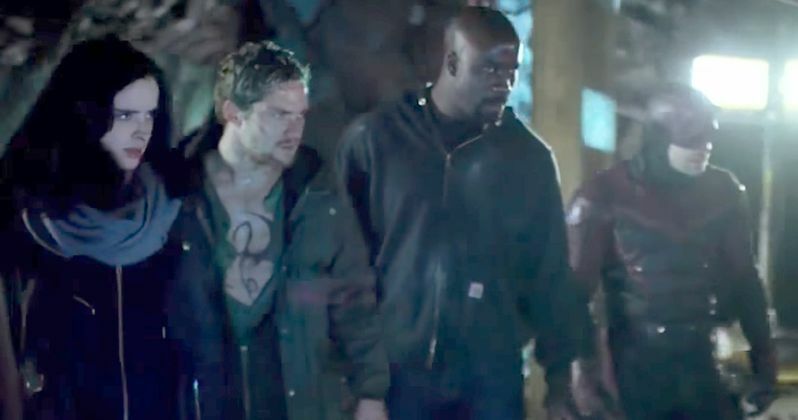 A report surfaced last month that claimed The Defenders Season 2 may not happen, although that has yet to be confirmed. However, all four of the original shows, Daredevil, Jessica Jones, Luke Cage and Iron Fist will in fact return for new seasons, along with The Punisher spin-off. No specific dates were given for any of these show's return quite yet, but we may found out after The Defenders premieres later this week. Marvel's The Defenders follows Matt Murdock/Daredevil (Charlie Cox), Jessica Jones (Krysten Ritter), Luke Cage (Mike Colter) and Danny Rand/Iron Fist (Finn Jones), a quartet of singular heroes with one common goal - to save New York City. This is the story of four solitary figures, burdened with their own personal challenges, who realize they just might be stronger when teamed together. Marvel Television and Netflix revealed in October that acclaimed film and television director S.J. Clarkson (Marvel's Jessica Jones, Vinyl, Orange is the New Black), will return to the Marvel universe to direct the first two episodes of the Netflix original series "Marvel's The Defenders." Clarkson will also serve as an Executive Producer on the premiere episode. The 8-episode limited series is slated to debut on August 18. Marvel's The Defenders stars Charlie Cox, (Matt Murdock/Daredevil), Krysten Ritter (Jessica Jones), Mike Colter (Luke Cage) and Finn Jones (Danny Rand/Iron Fist). Additional cast members include Academy-Award nominated actress Sigourney Weaver (Alexandra), Elodie Yung (Elektra), Scott Glenn (Stick), Deborah Ann Woll (Karen Page), Elden Henson (Foggy Nelson), Carrie-Anne Moss (Jeri Hogarth), Rachael Taylor (Trish Walker), Eka Darville (Malcolm Ducasse), Simone Missick (Misty Knight) and Jessica Henwick (Colleen Wing). Marvel's The Defenders is executive produced by Marco Ramirez and Doug Petrie along with Marvel TV's Jeph Loeb. The series is produced by Marvel Television in association with ABC Studios for Netflix. Take a look at the final trailer for The Defenders below.